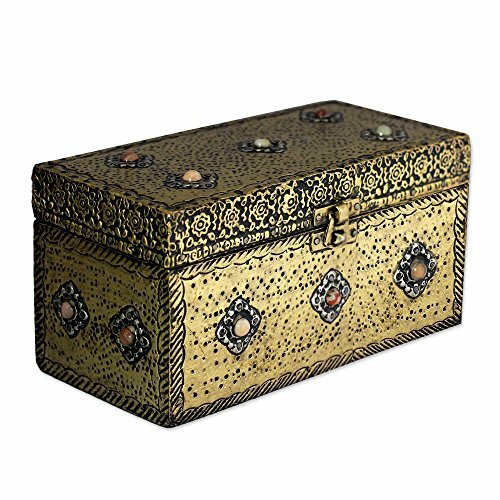 About this item: Khalid Ali creates a classic jewelry box in an antique style. Hand-crafted of mango wood, it is covered in embossed brass, and multi-color beads suggest precious gems. The designer adds three velvet-lined compartments and a mirror in the lid. Exceptional Artisan Quality by Khalid Ali - crafted with care to be treasured for years to come.